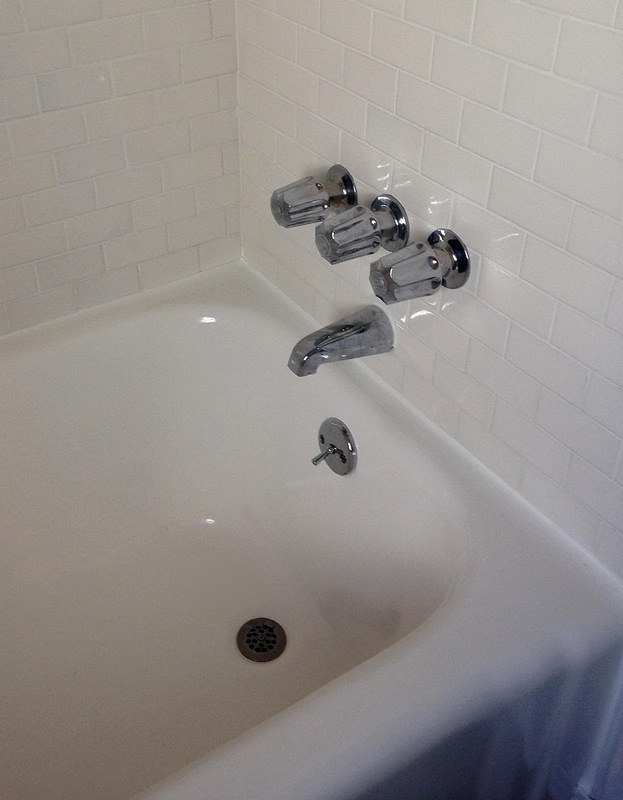 DIY Survival Guide: Subway tile and a tub that's like new! For this project we found some middle ground. It went like this... me "I can do a complete tare out and get it done the way we really want it." Wife, "in three weeks?" 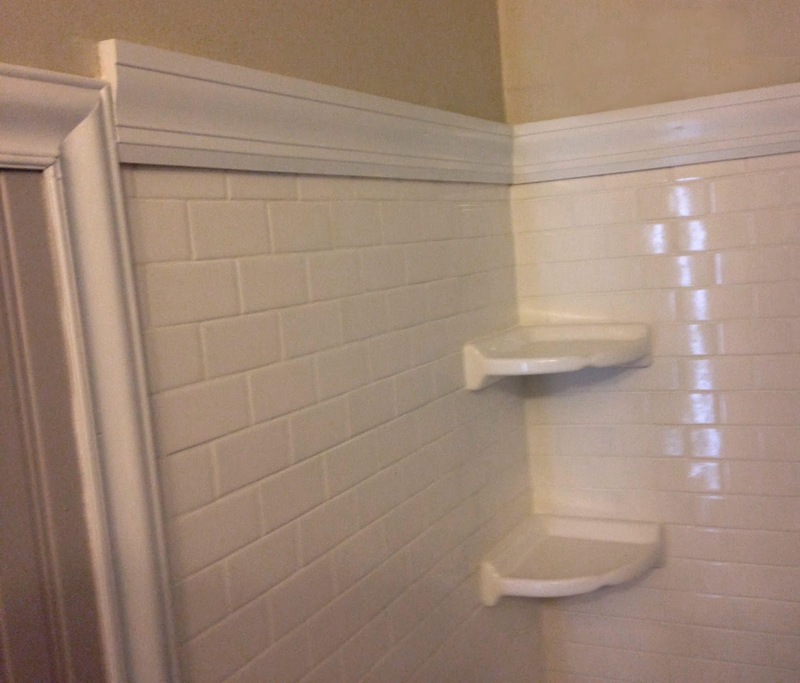 So we put in subway tile, had the tub refinished and painted the walls and ceiling. Here's what we learned. 1. Pick the tile/materials you want. 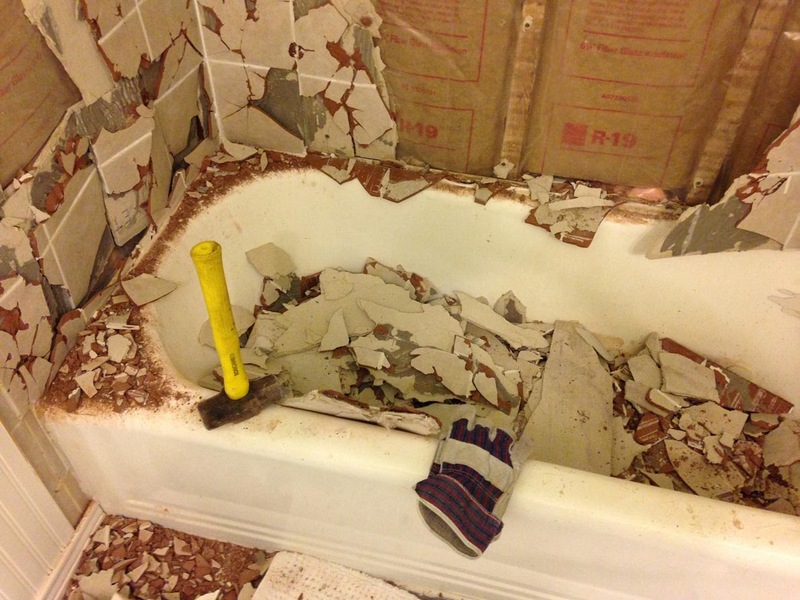 It's great to use leftover material and save money but not if that tile is something your going to regret later. We loved the old tile about twelve years ago and ended up using the leftovers to save money when we moved into our current home. Not too excited about it now though. So we decided on subway tile. 2. Consider how much time and money you want to spend. For us it was not worth a full demo and renovation at this time. 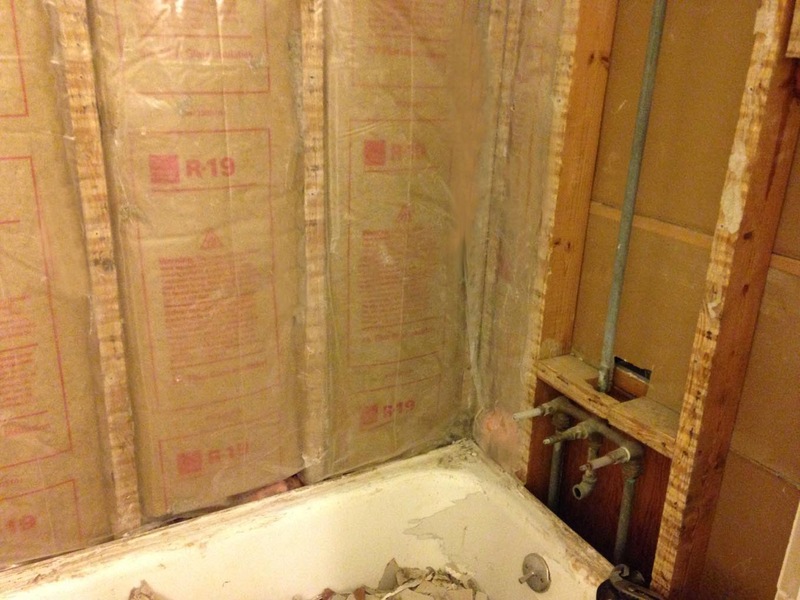 Yes I want to tile the entire bath area but we have plaster and dealing with the ceiling would have added time and money that we didn't want to spend. 3. Check out all the options for your subway tile. Some are individual with tabs on the sides for spacing and they come in different sizes as well. 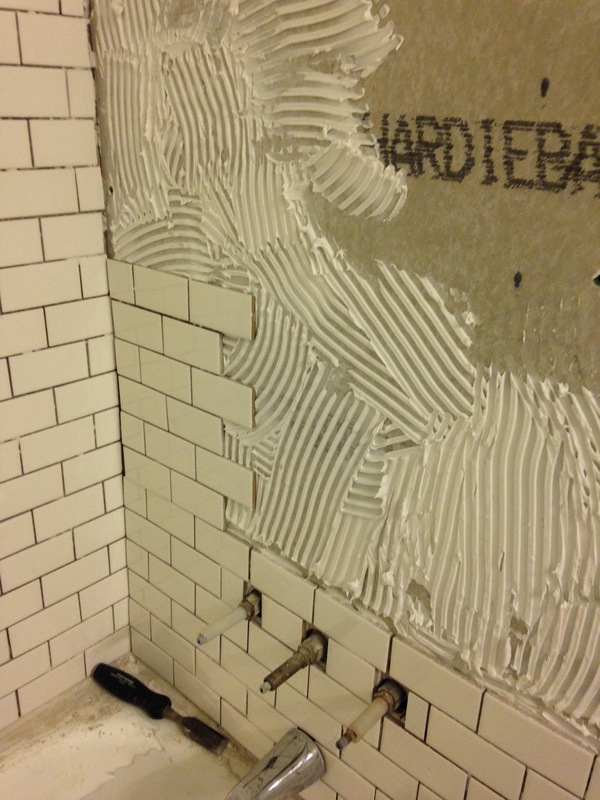 We used the tiles that are glued together on the back and come in 1 square ft. sections, making installation faster. 4. 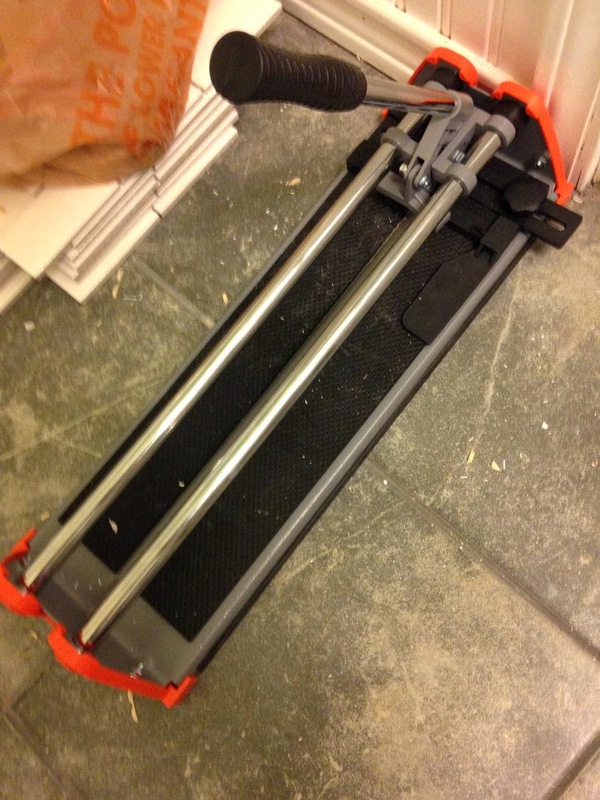 For the subway tile with its smooth surface a hand tile cutter is great. You score it and then snap it. The cutter I bought was $30 bucks and works great. 5. If you have an old beat up tub like our was, consider tub re glazing as it's durable and looks great. They completely remove all the old paint and coat with several layers of new paint. It smells for about two days but is well worth it. We used Chip 'N Nick Porcelain Re finishers, 27301 Little MacK Ave St. Clair Shores, MI 48081, (586) 775-5600. They were great, and professional. In the end this type of middle ground deal was great because it's not overwhelming, it's done in a few weeks with work primarily done on the weekends and it give us (my wife) something to look forward to doing in the future (20 years from now/dream bathroom) when the kids are older and we have more time on our hands.